We are very grateful to Sea Life, Weymouth for their donation of a new computer. 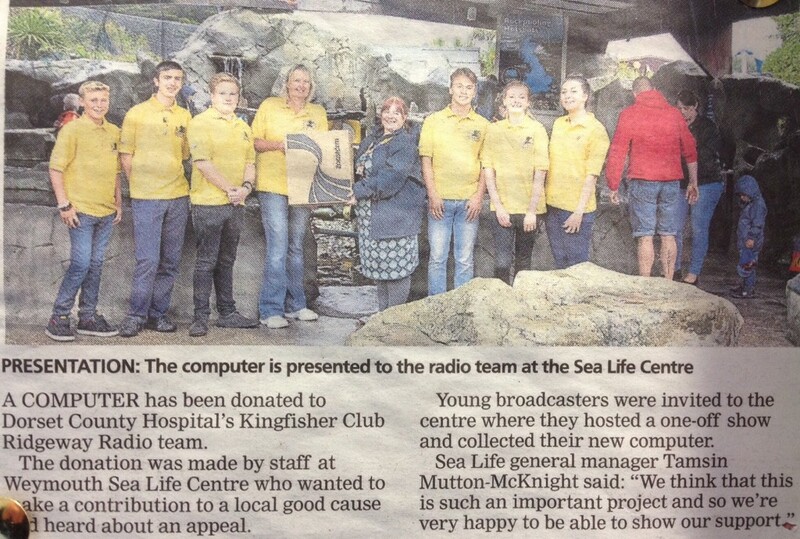 The Kingfisher team visited Sea Life Centre where the team were presented with the new computer for the studio. Many thanks Sea Life for the computer and thank you too for allowing the presenters to record interviews and sound pictures for future use. The wet weather didn’t dampen the enthusiasm of Ben, Abi, Daniel, Rosie, Ethan, Aidan (or myself Amanda!) and we all had a good time… Abi even went home with a ‘new friend’ a big yellow duck which is named Sebastian! Huge thanks all round to the team for attending and to Sea Life Weymouth.